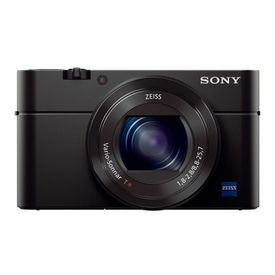 At just a mere 17.5mm, the slim and stylish Cyber-shot WX200 boasts an impressive 10x optical zoom. Its built-in Wi-Fi capability also empowers you to instantly share your photos and videos with your loved ones. Instant sharing is at your fingertips. 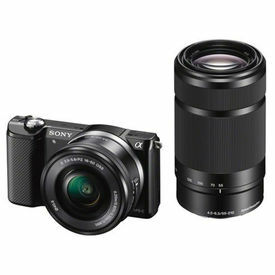 From the Manufacturer Sleek and Powerful The Sony Cybershot WX200 18.2MP digital camera can be a perfect choice for novice and intermediates owing to its automatic features that helps in learning and training. Sleek and trendy, it comes with an imposing 10x optical zoom camera that allows you to take life-like shots of your subject from a distance, as well. Equipped with all-powerful 18.2 MP Exmor RcmOS sensor that works on a back-illuminated technology, this camera can give you spectacular images in low-light conditions and background. 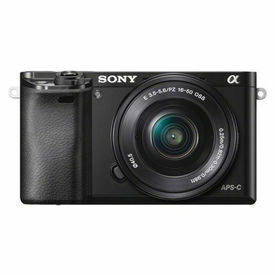 Slide in this compact digital camera in your handbag or backpack and make beautiful memories with ease. Shoot Perfect & Blur-Free Images Taking blur-free images now gets easy with the Sony Cybershot 18.2MP digital camera as it comes with the Optical Steady Shot feature. It identifies a minor hand movement and automatically makes required adjustments and alterations giving you a clear and sharp picture, every time. The Sony Cybershot WX200 camera silver comes with Optical Steady Shot active mode feature, which is ideal for capturing a moving subject. It gives clear images by keeping the subject in point of convergence when it is in motion. You can also record full-HD movies using this feature. 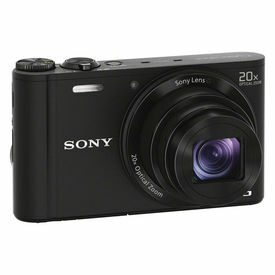 Fast & Furious This Sony Cybershot WX200 point and shoot camera is apt for capturing fast moving subjects and objects. Making a video of your favourite car or sports star playing in the stadium will be easy with the advanced auto focus feature in this camera. It can give you a perfect shot in 0.13 seconds. Make the most of the built-in Wi-Fi and share pictures and videos with your friends and family, instantly. You can now buy Sony cybershot digital camera and remotely operate it with your smartphone or tablet, thanks to the built Wi-Fi feature. 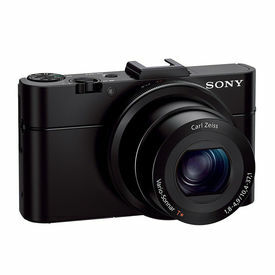 At just a mere 17.5mm, the slim and stylish Cyber-shot WX200 boasts an impressive 10x optical zoom. Its built-in Wi-Fi capability also empowers you to instantly share your photos and videos with your loved ones. Instant sharing is at your fingertips. 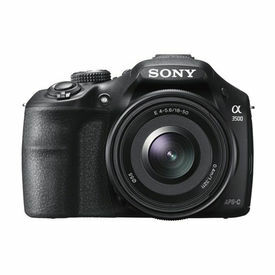 From the Manufacturer Sleek and Powerful The Sony Cybershot WX200 18.2MP digital camera can be a perfect choice for novice and intermediates owing to its automatic features that helps in learning and training. Sleek and trendy, it comes with an imposing 10x optical zoom camera that allows you to take life-like shots of your subject from a distance, as well. Equipped with all-powerful 18.2 MP Exmor RcmOS sensor that works on a back-illuminated technology, this camera can give you spectacular images in low-light conditions and background. 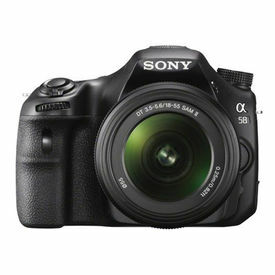 Slide in this compact digital camera in your handbag or backpack and make beautiful memories with ease. Shoot Perfect & Blur-Free Images Taking blur-free images now gets easy with the Sony Cybershot 18.2MP digital camera as it comes with the Optical Steady Shot feature. It identifies a minor hand movement and automatically makes required adjustments and alterations giving you a clear and sharp picture, every time. 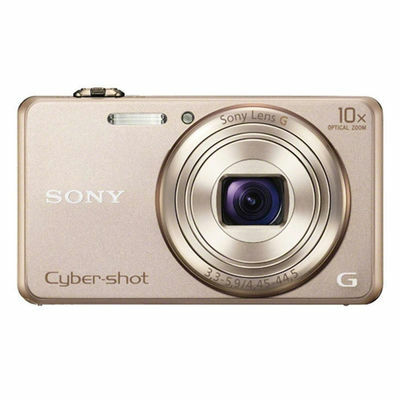 The Sony Cybershot WX200 camera silver comes with Optical Steady Shot active mode feature, which is ideal for capturing a moving subject. It gives clear images by keeping the subject in point of convergence when it is in motion. You can also record full-HD movies using this feature. 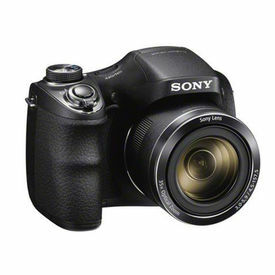 Fast & Furious This Sony Cybershot WX200 point and shoot camera is apt for capturing fast moving subjects and objects. Making a video of your favourite car or sports star playing in the stadium will be easy with the advanced auto focus feature in this camera. It can give you a perfect shot in 0.13 seconds. Make the most of the built-in Wi-Fi and share pictures and videos with your friends and family, instantly. You can now buy Sony cybershot digital camera and remotely operate it with your smartphone or tablet, thanks to the built Wi-Fi feature. Start-up Time Approx. 1.8 sec. Shooting Time Lag Approx. 0.1 sec. Shutter Release Time Lag Approx. 0.011sec.